Whether a single piece, a large package or your entire business; Don Smock Auction Company, Inc. is the auction company for you. 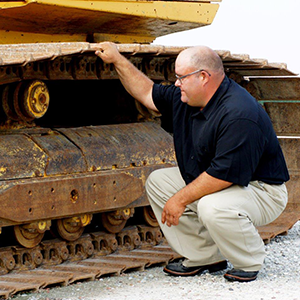 Don Smock Auction Company, Inc. has been in business for over 25 years and is Indiana’s Largest Construction Equipment Auction Company. We strive to provide professional and very personalized service to you. We can sell your assets by commissioned auction, guarantees, complete buy-outs and liquidation. We can sell at our facility or bring the DSA experience to you. If none of these are exactly what you need, we will create a solution for you. We handle the whole selling process for you so you can continue to run your business. Our quick payment and turn-around keeps many of our sellers coming back every sale. You get paid within 10 banking days from the date of the sale. Marketing is a very active and dynamic part of our business. With internet, print and social media, we at DSA are committed to marketing and getting the right buyer to you. We have a very extensive mailing list and email list. With over 26,000 people on our private mailing list and over 9,000 emails. We also have over 41,000 people reached with each Facebook ad and more than 1,500 unique people visiting our website weekly. We partner closely with Proxibid.com. They partner with Ebay.com and have access to over 110 million people in the US. Proxibid.com gets 3 million monthly visits, 10,000 new buyers monthly and has access to 190 countries. Their advertising and emails reach more than 1 million people every week. These two provide an assurance to you that we are doing our best to find the right bidder for you. We work hard to provide every opportunity to market and get your pieces the most exposure on the market. 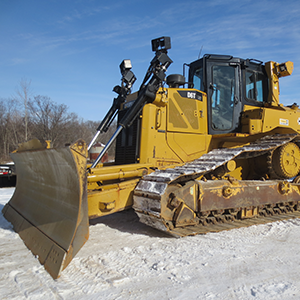 Contact our Heavy Equipment Auctions company today! I have been dealing with Don Smock Auctions for 23 years now. On both the buy and sell sides, I’ve never been disappointed. They are very professional, personable and will always give you good honest numbers of value. I learned a lesson many years ago and dealt with ‘two other top industrial auction companies’ one time because of auction timing issues and never again. I have been spoiled dealing with Nic and the guys and value the relationship that 23 years have brought us to. I’d like to take this opportunity to thank you for the continued service and support for our industry. We enjoy working with Don Smock Auctions. The DSA team is courteous and professional to buyers and sellers alike, and we’ve had firsthand experience in both capacities. 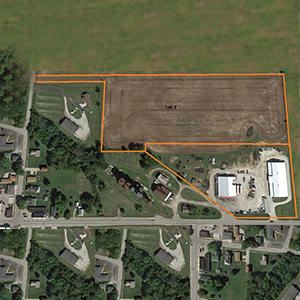 Rieth-Riley is proud to be a client of Don Smock Auction Company; a home-grown neighbor with international reach. We wish you and your team continued success as you expand Don’t legacy. As an independent used equipment dealer for almost thirty years, we welcome partnering with Don Smock Auction Company for professional assistance in selling used construction equipment for our customer’s when they are upgrading their equipment fleet. The team @ DSA demonstrates “no hassle” approach as well as “flexibility” when working to achieve the best value for the equipment being auctioned. The process from start to finish is above and beyond the expectation that are set including communication, marketing of the event and quick release of money after the sale. We look forward to continuing our years of success with a great company and team players that represent Don Smock Auction Company. I’ve done a lot of business with DSA over the years. I started working with Don Smock back in the early 2000’s. My experience with DSA was always enjoyable and the outcome of our business together was always fair. I appreciated Don’s interest in my success, and his willingness to always try to help, even in times when he couldn’t. I miss him, he was a great man. I’ve dealt with Nic for many years, and the outcome has been equally as enjoyable. Nic is extremely passionate about his business, his customers, his community, and his faith. He has taken DSA to the next level, and I know Don would be very proud. I personally recommend you call DSA for any auction needs, if for nothing more than to learn what it is like to do business with this family. I just wanted to let you know that we have enjoyed working with your company for many years now. I can remember our fathers working together many years ago with you father Don first started your business. We have purchased and sold many items at your auctions through the years and have always been very pleased with the process. When selling items at your sales, your office does an excellent job communicating the information that we need as well as processing our payment in a timely manner. First off I would like to say thank you. Thank you and your staff for running a well organized auction. You guys did a wonderful job for Berns Construction. I know that we had used you in the past for auctioning off equipment, but this was my first experience and all I have to say is thank you for educating me from beginning to end on the whole process. For this being my first experience and having approximately 40 pieces to sell I was a bit nervous, but you and your staff went out of the way to meet me several times at my office and for lunch to discuss details. I never once felt like there was anything that you were hiding from me. The whole appraisal process was painless to me and I felt like those were numbers you were going to work hard to get for us. Once I signed the contract, your staff did a great job of marketing our equipment and preparing us for the auction. 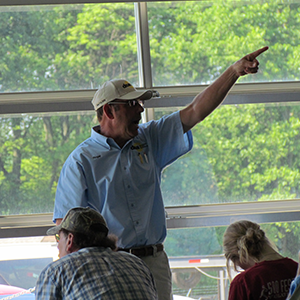 Pictures and advertising helped get our equipment out of the masses to review and see before the auction which I believed help make our equipment sale a success. Although I could not attend the auction, I did have a couple of representatives of Berns there and they were impressed at how streamlined and organized the auction was. We were very satisfied with the sale and the excitement of knowing that a couple of our pieces went overseas just adds to the satisfaction. I was pleased with the follow up meeting after the auction when you personally delivered our proceeds and we discussed what went well and not so well and what we could do better in the future. As I have said, I was thoroughly pleased with my learning experience as my first auction and very pleased with you and your staff’s professionalism. I will be doing business with Don Smock Auction Co., Inc. again in the near future.